Solar Storm Studio is a developing website that plans to become a hub for free graphic design related content. We are first starting off with a tutorial database where users can submit their high-quality graphic design and web design tutorials. The tutorial database will be the main attraction of the website since tutorials are considered as “high value” content in search engines. We are also building a database for additional digital design-related content such as HD Wallpapers, Mobile wallpapers and Screensavers. 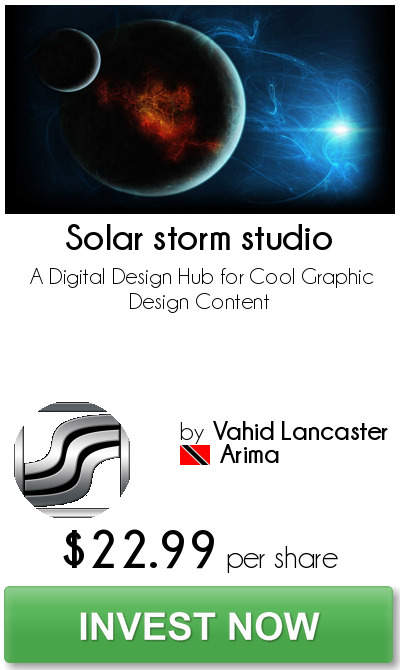 The goal of Solar Storm Studio is to become a premiere hub for visitors to learn about graphic design or to simply get cool content to personalize their computer/mobile device. We have no problems with adding good content to the site; however, if visitors are not coming to your site, then it does not matter how good your content is. This is exactly why ALL funding proposed to this project will be spent on one thing - marketing. We are using free advertising right now via social media marketing, but this is a slow process. Paid marketing is needed to seriously get the ball rolling. Once we start getting high amounts of traffic, the popularity of the website will continue its marketing momentum on its own. From past experience, we estimate that it will take about 6 months for the “marketing momentum” effect to take place. Our goal with Solar Storm Studio is to build a site that we can be proud of. More importantly, we want to build a website that will eventually become a popular graphic design community for graphic designers and design enthusiasts around the world. Your investment in this project is greatly appreciated.